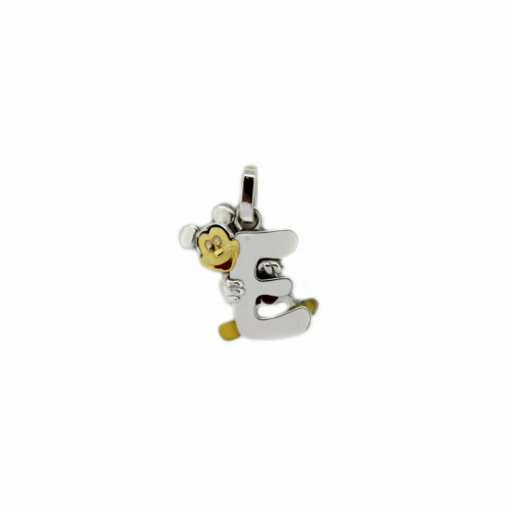 Hanging letter Disney made in gold 18 k solid sterling silver of 925 thousandths. We have all the letters. Brightness with unalterable enamel finish. Delivered in original case of Finor brand. Dimensions: 2.3 by 1.7 cm. Manufactured in Spain.